Who hasn’t heard of Dance Moms? Virtually nobody. So you’ve most likely seen dancing legend Ava Cota, but did you know just how much this young starlet has accomplished? 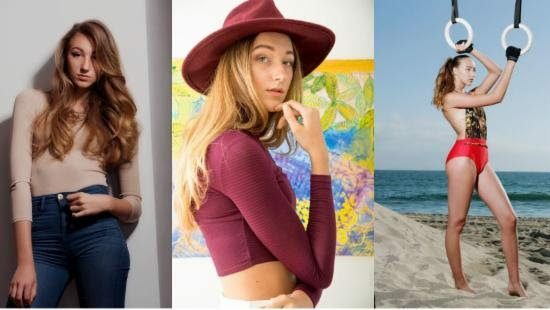 At just 16 years old, Cota is not only a professional dancer and reality star, but she recently added model and media influencer to her repertoire, with the goal of spreading positivity. Cota started dancing at a young age and was trained at a studio founded by her mother. She says that this inspired her to become the dancer she is today. Realizing she had a passion for dance, Cota wanted to dance professionally and has certainly succeeded in her dream. In our celebrity interview, we talk to Cota about her dancing life and what she dreams of next. While discussing competitive dancing, Cota explains that dance competitions aren’t about who wins or comes in first. She says it is about being on stage and performing. “It’s easy to get caught up in the competition aspect of it,” Cota tells us but cautions that a little bit of rejection is not a bad thing. Cota says that she loves all forms of dance but if she had to choose a favorite, it would currently be contemporary. With a busy schedule, she says that there is no time to be a normal teenager! Cupid’s Pulse asked Cota how she finds ways to relax with her friends and feel normal while juggling all of the demands of fame. She said, “I was never that kid that wanted the normal.” She’s never had a normal life and, at the moment, she isn’t really looking to create one. When asked about the all-important love life teenagers typically chase, Cota said she doesn’t have time for boyfriends. We can understand why! At only 16 years old, Cota has developed a network and presence of influence and she is passionate about using her platform to spread positivity. Her motto is, “Self love creates self happiness,” and she shares this with those around her. This is such a powerful statement in a world built around technology; growing up with social media can be hard on those who don’t have self confidence. But Cota is trying to break through that tough barrier and spread messages on body positivity and self happiness. The world needs more uplifting spirits like Cota. You can keep up with Ava and her journey by following her Instagram @ava.michelle and her Twitter @avamichelle2002. Keep up with her daily life by following her on Snapchat at @avamichelle_02.